Taste test: These chips were cut thick, with a kettle-cooked texture and a ton of great crunch. 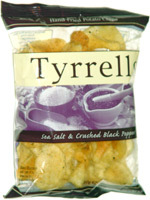 They tasted very good, with a great potato taste and a mild but very tasty black pepper flavor. Smell test: Mild peppery smell, nice. 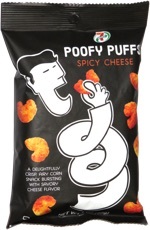 This snack was discovered by Judy and Lee in Ireland. Review published .